At the start of this decade, I would have told you I expected Yuri Gamboa to develop into a pound-for-pound star. He was showing that kind of potential, defeating good, solid contenders with a flashy ease. The explosive and athletic southpaw won a gold medal at the 2004 Athens Olympics. He won alphabet-soup titles at featherweight. At one point, he was acknowledged as the best in the division, even if the right fights didn’t line up to make him a true, lineal champion. By the time he was finally able to land a fight with another boxer viewed as a potential pound-for-pound talent, he was on the wrong side of 30 and forced to pair off with a man of larger natural size, in Terence Crawford. Gamboa fought very well early, then Crawford made some adjustments, shifted to a southpaw stance himself and dismantled Gamboa, stopping him in Round 9. It seems to me that single loss has hurt Gamboa’s status much more than is fair. Nobody ranks Gamboa in the top 10 at either 130 or 135 pounds at this point. Yet, I would view him as a pretty good bet to beat anybody in either division, especially at super featherweight. 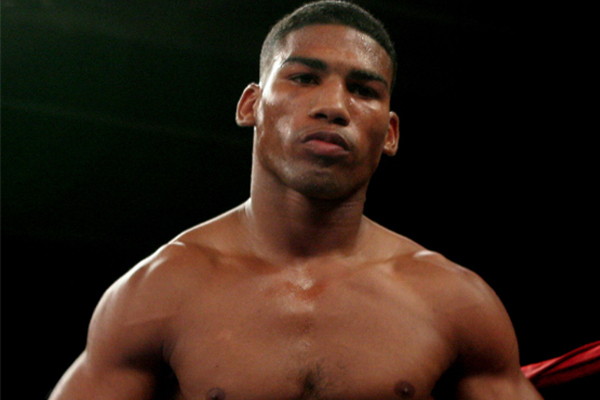 Gamboa scored another easy win last weekend against Rene Alvarado, in Verona, New York. Alvarado was a credible but pedestrian 24-7. Gamboa beat him by at least seven rounds to three on all of the cards, and eight to two on one. But he was also dropped in the 10th and final round. Gamboa is 35 now and does not have the sort of style that ages well. And throughout his career, he has been prone to getting knocked down, even in bouts where he otherwise looked brilliant. Still, I would be interested in seeing him matched against plenty of fighters in the super featherweight and lightweight divisions. At this point, he is probably not likely to factor back into the conversation of the sport’s biggest stars. But he is still highly relevant at a certain level.